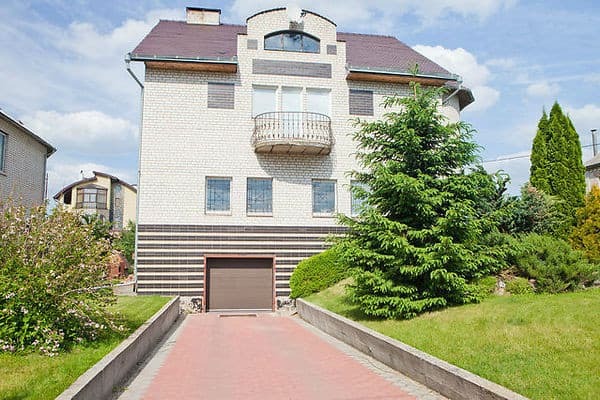 A cozy cottage "in Svyatopetrovsky" is located in a picturesque place of the village of Petrovskoye, in the Kiev suburban zone with a convenient traffic junction. 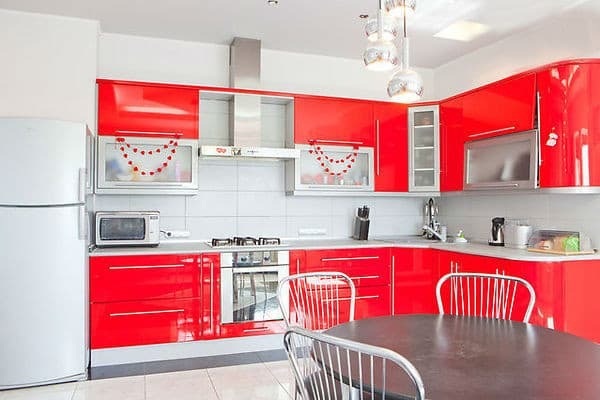 It offers accommodation in a 2-storey house. 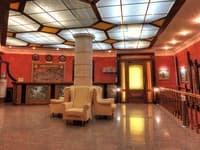 On the 1st floor there is a large dining room with a kitchen, a bathroom, a large banquet hall with a TV, a fireplace. For an additional fee, you can use the pool table. On the 2nd floor there are 5 comfortable double rooms, and there is also a common large bathroom. 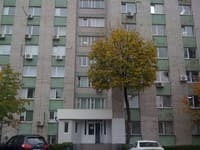 In the equipped area of ​​the guest house "in Svyatopetrovsky" there is a parking for cars, an orchard, a barbecue, a swimming pool, a recreation area with sun loungers. Free Wi-Fi is available. Nearby are the Tennis Courts This is an excellent place for a comfortable holiday in nature. The distance to the center is 19 km, to the central bus station - 6 km, to the railway station - 17.6 km, to the airport "Borispol" - 35 km. Description of the room: The cozy room is located on the 2nd floor. In the room there is a sofa bed, a wardrobe, a coffee table. Large bathroom on the floor. There is access to the terrace. On the 1st floor there is a large kitchen with everything necessary, a large lounge with TV, fireplace, billiards. Description of the room: Cozy 2-bed room on the 2nd floor with exit to the balcony. In the room there is a double bed, a wardrobe, a mirror. Large bathroom on the floor. On the 1st floor there is a large kitchen with everything necessary, a large lounge with TV, fireplace, billiards. Description of the room: Cozy 2-bed room on the 2nd floor. The room has a double bed, a clothes hanger, a desk. Large bathroom on the floor. On the 1st floor there is a large kitchen with everything necessary, a large lounge with TV, fireplace, billiards. Description of the room: Cozy 3-bed room on the 2nd floor with access to the terrace. In the room there is a double sofa bed and a bed, a wardrobe, a coffee table, a mirror. 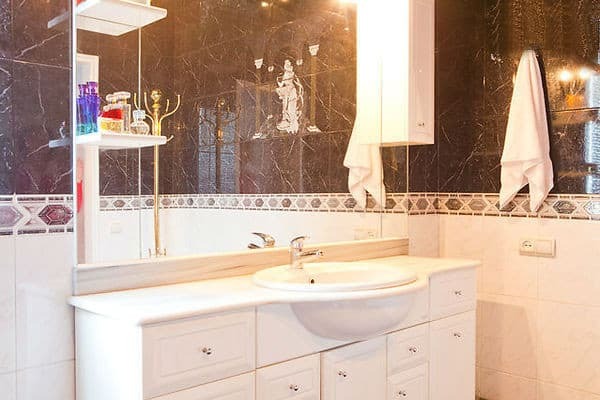 Large bathroom on the floor. On the 1st floor there is a large kitchen with everything necessary, a large lounge with TV, fireplace, billiards. 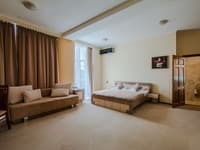 Description of the room: Cozy cottage in Petrovac is located in a picturesque area of ​​the village of Peter, in the Kiev suburban area with convenient transportation. You are invited to stay in a 2-storey house. 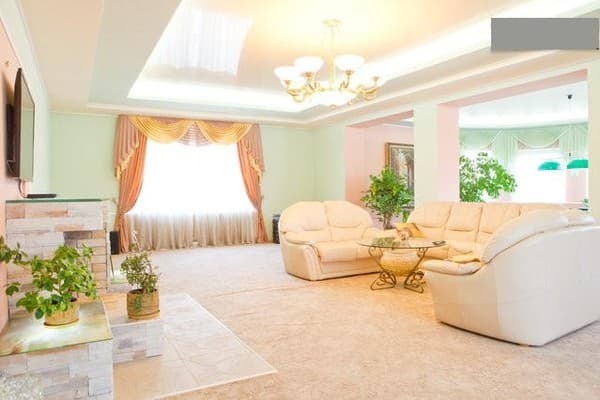 On the 1st floor is a large dining room with kitchen, bathroom, large dining room with a TV, fireplace and pool table. 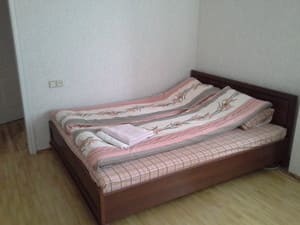 On the 2nd floor of the 5 comfortable double rooms, also has a shared large bathroom. On the landscaped area has parking, orchard, barbecue, outdoor swimming pool, a relaxation area with loungers. This is a great place for a comfortable relaxing holiday. For each additional 150 UAH. Available upon request. Breakfast, lunch and dinner by arrangement for an extra fee. 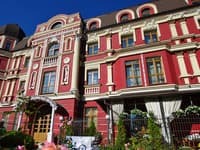 The cottage is situated in a picturesque location with convenient transport interchange: From Zhulyany "Kiev" airport - 5 km, 15 km to the Downtown, 20 minutes to the metro station "Zhitomir".